the primary contribution of the atria to circulation rate. 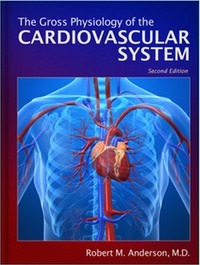 Distilled from decades of groundbreaking research and surgical experience by Dr. Robert M. Anderson -- a pioneer heart surgeon, biomedical inventor, award-winning professor, and former Associate Dean of the University of Arizona College of Medicine -- this book is now freely available in electronic format to medical educators, students, physicians, researchers, and other interested readers. Use the links above to read the text online, or the links at right to download the complete book in high-quality electronic formats for printing or display on popular e-book readers.